Cryptomining attack scripts, sometimes referred to as cryptojacking, are a subtle form of malware designed to harness the power of your CPU to mine cryptocurrency for those who develop them. These malware can be spread through infected files and the usual vectors of transmission. 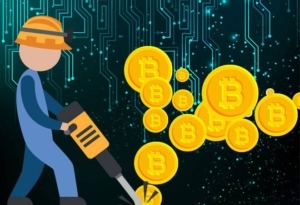 Cryptomining can also take place with our without your tacet consent on websites, especially those associated with torrenting and distribution of copywrited materials. Censys.io reports that over 170,000 active Mikrotik devices were infected with the CoinHive site-key ( a single site-key was found across all infections, which indicates a single entity to be behind the attacks). Although the campaign appeared to originally target Brazil, infections are still growing internationally. A search on Shodan (a search engine for security researchers) shows growing tens of thousands of compromised routers outside of Brazil. MikroTik routers are employed by large enterprises and ISPs in order to serve web pages to multiple thousands or more users each day. This means that each instance of compromise could pay out big for the threat actor. Because the attack capitalizes on a known vulnerability, it is a prime example of what enterprises of all sizes risk when they delay or prevent installation of developer patches. The attack takes advantage of a vulnerability that was actually fixed by MikroTik in a previous patch. Whoever is behind the attack, it appears they have an intimate understanding of the functionality of this particular router. “Initial investigation indicates that instead of running a malicious executable on the router itself, which is how the exploit was being used when it was first discovered, the attacker used the device’s functionality in order to inject the CoinHive script into every web page that a user visited,” explained Kenin. Any MikroTik router users should make sure that their RouterOS is current with security patches, lest they fall prey to this latest cryptojacking campaign. The end user still has a few options as well, as cryptojacking can be halted in the web browser itself using (MinerBlock extension) or at the local firewall (CoinBlockerLists). Because the CoinHive script is injected into HTTP traffic, it can generally be avoided by forcing requests to be made over the secure version, HTTPS, depending of course on whether or not the site being accessed supports it.